Like so many things tequila, including the term “Single Barrel” there is a true traditional meaning, and then an exploitation of the term. As we discussed in answering the earlier question “What is Single Barrel Tequila?, When whiskey is bottled a number of oak barrels are utilized and the contents blended together before bottling. Single Barrel Whiskey is bottled from one single oak barrel.It’s charming that you get an actual “Lot” or “Batch” number, and the anticipation of your particular lots variation in flavor could deliver an excitement similar to a new vintage of wine. Double barrel whiskey is aged in oak barrels. These spirits are then blended, sometimes the proof is lowered, other times for uniformity. The whiskey is then put into a second new oak barrel to be aged again, often adding more overall wood to the uniformity. 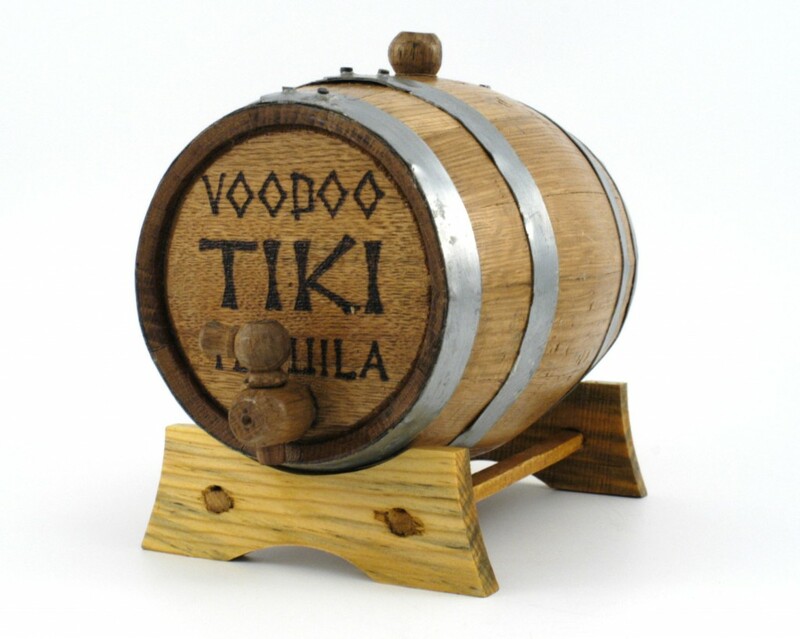 All Voodoo Tiki Tequila is Single Barrel, by the correct tequila definition, except Voodoo Tiki Extra Anejo (pictured below), which is a Double Barrel Tequila. Double barrel tequila presumably, as the name implies, uses two barrels as well, but they must be two never before utilized for tequila barrels. To clarify, proper single barrel tequila uses a previously “seasoned” (or “used”) whiskey, cognac or brandy barrel. That barrel is never utilized for tequila again. Double Barrel utilizes not one, but two “Seasoned” barrels! 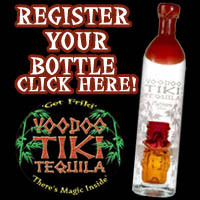 The tequila is single barreled, and next – as opposed to being bottled as single barrel – it is put in yet another never before used for tequila “Seasoned” barrel and aged more. Double barreling is expensive. The use of two single use seasoned barrels is very expensive. Then there’s the evaporation, sometimes called “The Angel’s Share.” Aging creates some evaporation. 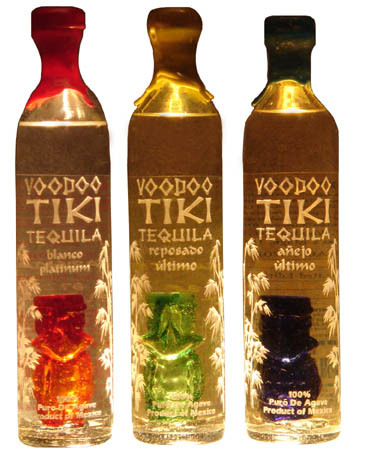 Double barrel tequilas generally receive longer aging, hence more evaporation. Finally there’s the work load, paperwork and inspections. Of course there’s the “holding inventory” cost of aging tequila for three or more years, albeit that’s inherent in any aged product and not exclusive to double barrel tequila. The result is a highly complex tequila with apparent notes and fragrances from the original agave utilized, and the exclusive barreling process. It’s common for tequila to be brought down to the required 70-80 proof range by the addition of water. This isn’t necessarily a negative, despite the fact that some manufacturers market that they “Distill to Proof.” The fact is that there are many excellent tequilas both distilled to proof and mixed with water. 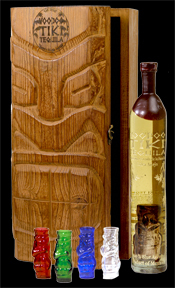 The best double barrel tequila will make use of two seasoned, but never before used for aging tequila barrels. How Do I Know If My Tequila is Properly Double Barrel and Not “Sort of” Double Barrel? 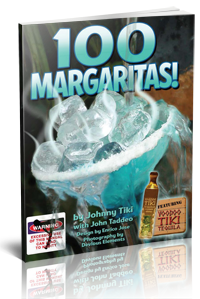 Sadly, you don’t unless the company comes out and explains exactly what they do to craft “Double Barrel” tequila, and even then there’s a vast chasm in many companies between what the marketers say, and what is actually happening on the ground. 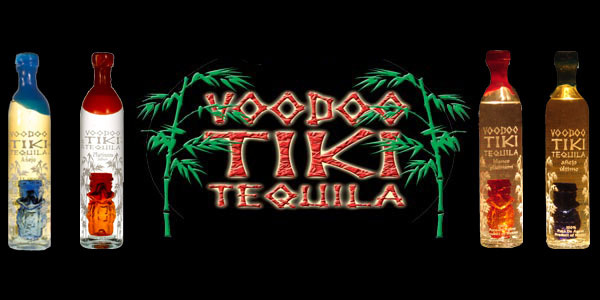 Voodoo Tiki Tequila uses the traditional, spare no expense, “Proper” double barrel technique as it relates to tequila, and it’s obvious in the taste of our Extra Anejo Coleccion Privada de la Familia. If you would like to sample a true extra anejo tequila at one of our next tastings, Join the Tribe to get the latest news and updates of where we’ll be next.